Sony on Monday announced the launch of a wide range of headphones, wireless speakers, and sound bars at CES 2018. Part of the new lineup were the HT-ZF9 3.1 channel soundbar and the HT-XF9000 2.1 channel soundbar. 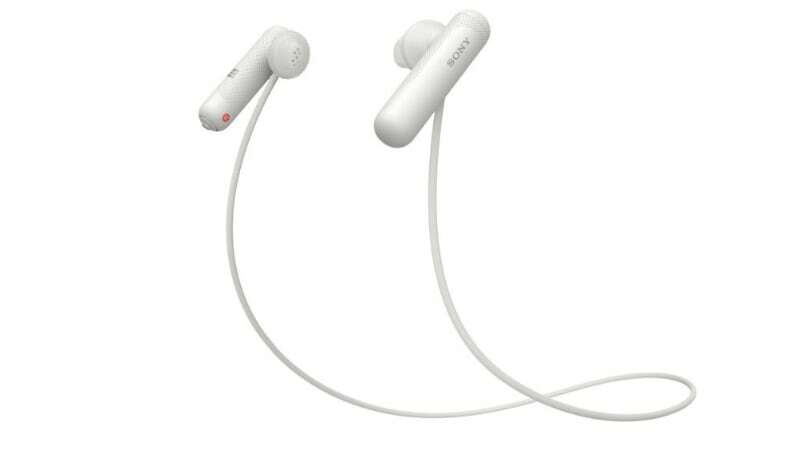 Apart from that, the company also unveiled three wireless earphones and three extra bass portable speakers. The Japanese tech giant revealed two new premium soundbars at CES 2018 in Las Vegas. The HT-Z9F (also known as HT-ZF9) 3.1 channel soundbar and the HT-X9000F (also known as HT-XF9000) 2.1 channel soundbar, both, feature Dolby Atmos audio technology paired with Sony’s proprietary ‘Vertical Surround’ engine. The soundbars are compatible with 4k HDR10 and Dolby Vision. The HT-X9000F variant has Bluetooth support, while the Z9F will get it in a future firmware update. Additionally, the Z9F has Wi-Fi connectivity to offer access to several online services, with Chromecast and Google Assistant support. The Z9F also has two HDMI input ports and one output port. The HT-Z9F variant will be priced at $899.99 (roughly Rs. 75,300), while the HT-X9000F will have a retail price of $599.99 (roughly Rs. 38,200). Both the soundbars are expected to be available from Spring 2018. The WI-SP500 is a pair of wireless in-ear headphones from Sony that features IPX4 rating and comes without any kind of noise cancellation. It has an open-type driver unit that helps it recognise ambient sounds. The pair also offers NFC connectivity, and a claimed battery life of 8 hours on a single full charge. Sony will sell these headphones with grippy earbuds and a carrying case, keeping in mind the portability requirements for sports headphones. The WI-SP500 sports headphones will be priced at $79.99 (roughly Rs. 5,100) and will be made available from April 2018. Apart from that, the following Sony headphone models will soon be optimised for Google Assistant: WH-1000XM2, WI-1000X, WF-1000X, WF-SP700N, WI-SP600N, WH-CH700N, and WH-H900N. You can also check out our previous coverage for Sony audio products at CES 2018.